Here is a summary of what happened in Girls of Paper and Fire, the first book in a new epic fantasy series by Natasha Ngan. Lei is a member of the Paper Caste, and is unusual because she has golden eyes. General Yu and his men arrive at the village. He’s come for Lei, having heard about her unusual eyes and wanting to please the King. He’s taking her to the capital to become a Paper Girl. They arrive in Han and Lei is taken to the Hidden Palace. Lei meets Mistresses Eira and Hamura. These two are in charge of training the Paper Girls. Lei plans to find out what happened to her mother, who was taken away a few years prior by the same men. The Paper Girls are presented to the King during the Unveiling Ceremony. Lei embarrasses herself by falling into the water but she’s determined to prove herself to the King another time. Chenna, one of the Paper Girls, is called in to see the King first. Aoki is called in a day later. Lei starts to develop feelings for Wren. She sees her heading into the forest one day and wonders what she’s up to. Lei is finally called in by the King. Before she goes, she receives lessons from Zelle, who tries to teach her how to please the King. The King tries to have his way with Lei but she runs away. The King puts her in isolation for her disobedience. Wren brings Lei some food. Lei asks Wren what she’s been doing in the forest. Master Tekoa goes into a weird trance and tells Lei she has a fire burning inside her. Lei requests another lesson with Zelle in an attempt to find out more about her mother. Lei searches the office but doesn’t find anything about her mother. Zelle catches her and saves her from Mistress Azami. There’s a party, and Lei goes for a walk with the King. He tells Lei that the gods are angry with him. Lei comes across a woman whose beauty is deteriorating because the King hasn’t allowed her to have any beauty magic. The King gives away slaves to his guests. Lei comes across Wren in the forest and finds out that she has been working with a guy from the Moon Caste. Wren talks about how she was born to the Xia clan, who were all warriors. The King had her clan killed. People attack the Hidden Palace. Wren defends the girls. The King’s men find the people who attacked the Palace and interrogate them. They’re then executed by the Moon Caste guy that Wren knows. His name is Kenzo. Blue confesses that she thought she was going to enjoy being a Paper Girl and bringing honour to her family but instead her parents don’t think of her at all. One of the other Paper Girls is revealed to have been sleeping with one of the guards. She is thrown out of the Palace. Wren tells Lei that her adoptive father was told by a fortune teller to go and find a baby in the snow. He found Wren and swore revenge on the King. Aoki and Lei make up after having had a bit of a falling out. The King summons Lei again. She plans to drug him. The King tells Lei that he ordered the raid on her village and that her mother was likely killed. He then rapes her. Lei returns to the Hidden Palace but then remembers that she left the bag of herbs behind. Lei wants to help Wren kill the King. Wren’s mother dies and Wren leaves to be with her family. Kenzo asks Lei to kill the King in Wren’s place. 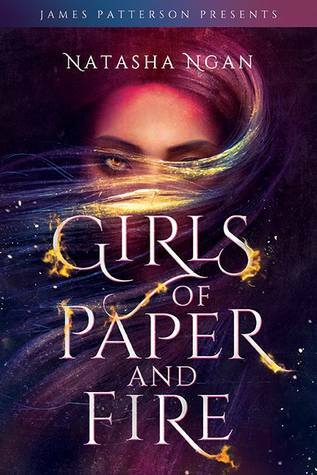 How did Girls of Paper and Fire end? At the Moon Festival, Blue tells Lei that she told the King about Lei and Wren’s relationship. Lei sees the King talking with her father and wants to kill him there and then, but she is stopped by Zelle. Lei loses her blade when she is told to perform with the rest of the Paper Girls. The King takes Lei into the gardens and tries to kill her. Zelle saves Lei’s life again, and puts a dagger through the King’s eye. One of the King’s bodyguards, Zara, kills Zelle. Lei stabs the King and Wren and Kenzo finally arrive. Wren and Lei are able to escape on the back of a bird demon. They see the Palace burning from the air. They arrive at a temple, and announce that the King is dead. Lei’s pendant opens to reveal the word “flight”. Zara checks the King’s body and feels a pulse, so she goes off to find some shamans.